With regret, Rizzle Kicks have cancelled their December tour, which includes their date at the Roundhouse. All tickets purchased directly from the Roundhouse Box Office have been refunded. 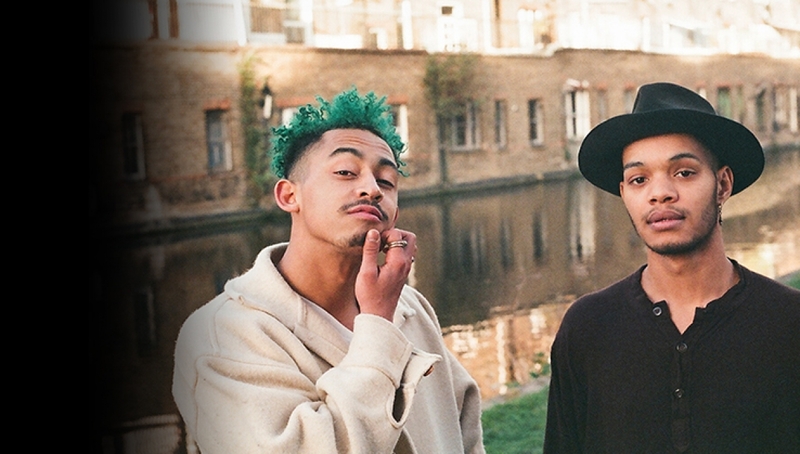 Rizzle Kicks, the duo behind the massive hit Mama Do The Hump, headline the Main Space. Rizzle Kicks, one of the most popular, engaging, and singularly English, success stories of the last decade, mark their very welcome return to the music world with a new tour, taking in a date in the Main Space in December. Brand new track Always Late finds Jordan Stephens and Harley Alexander Sule back at their hook-laden, irrepressible and incisive best. The boys took a sabbatical after the release of Roaring 20’s with acting taking up most of their time. Jordan starred in the acclaimed E4 series Glue, acted in The Last Panthers for Sky Atlantic and has a lead role in the much anticipated new movie AAA. Harley landed the lead role in the hard-hitting film drama Guvnors, for which he won the National Film Awards Best Newcomer 2015, as well as starring in the ITV Drama Unforgotten. The boys also found time to work on individual musical projects – Wildwood (Jordan) and Jimi Charles Moody (Harley).